Mysteries at Opera Plaza held in San Francisco on October 11th was a huge success. There were 70 attendees at Books, Inc. The three mystery writers, Katie Crouch author of Abroad, Alice LaPlante, author of Circle of Wives, and Sophie Littlefield author of The Missing Place discussed their books. Tracy Guzeman, author of The Gravity of Birds, moderated the panel. She asked how isolation and betrayal played in their novels. The authors had interesting and surprising stories about the research they did for their stories. Women’s National Book Association, San Francisco Chapter and Litquake Festival 2014 sponsored the event for this October National Reading Group Month. Kate Farrell, president of WNBA, with the help of member volunteers, organized Mysteries at Open Plaza. We had a free raffle of each of the four authors’ books and snacks catered by Max’s Opera Cafe. Briah, the event coordinator of Books, Inc. provided everything we needed and moved several book shelves on wheels so we had seating for the attendees. 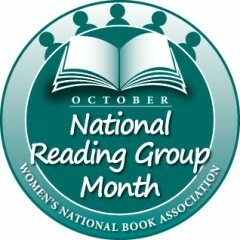 The Women’s National Book Association is a non-profit organization of women and men who work with and value books. WNBA exists to promote reading and to support the role of women in the community of the book. WNBA was established in 1917, before women in America had the right to vote. There are chapters in ten cities with approximately 800 members across the country. If you’d like to join us, let me know. National Reading Group Month Event Saturday in S.F. National Reading Group Month event called Mysteries at Opera Plaza! TheThrill of Shared Reading. October 11, 2014, Saturday, 2:00 to 4:00. 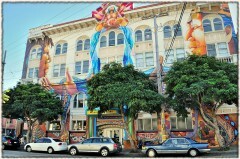 Books, Inc., Opera Plaza, 601 Van Ness Avenue, San Francisco. 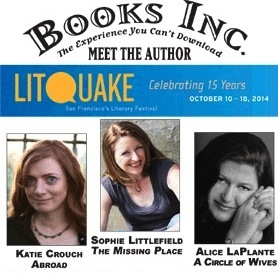 Co-sponsored by Women’s National Book Association, San Francisco Chapter and Litquake. 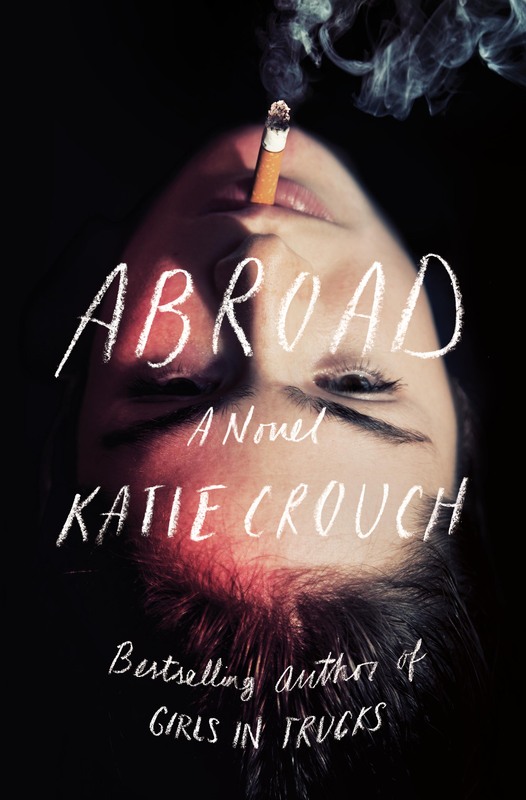 The New York Times bestselling author Katie Crouch will discuss her book, Abroad: A Novel, a gripping thriller inspired by the horrifying details of the Amanda Knox trial. 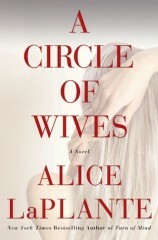 Alice LaPlante’s novel, A Circle of Wives, is a thought-provoking tale of love and marriage with four female protagonists. Detective Samantha Adams is on a high-profile murder case involving Dr. John Taylor who had three wives in three separate cities who show up for his funeral. 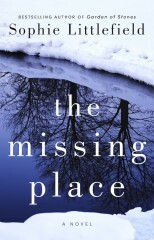 Sophie Littlefield’s book is The Missing Place: A Novel. Set against the backdrop of North Dakota’s oil boom, this darker take on women’s fiction follows two very different mothers as they form an uneasy alliance to find their missing sons who have vanished from an oil rig. 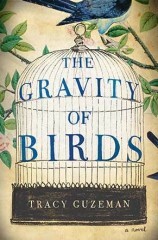 Tracy Guzeman, author of The Gravity of Birds: A Novel will be the moderator of this event. Her book is about two sisters who vanish and their world-renowned artist friend decades later will sell a painting of the three of them only if the sisters are found. Come to the event to meet these authors and enjoy a Saturday afternoon among readers and writers. See you there, I’ll be at the raffle booth. Posted on October 6, 2014 Categories WNBA EventsTags A Circle of Wives, Abroad: A Novel, Alice LaPlante, Julaina Kleist-Corwin, Katie Crouch, Litquake, Mysteries at Opera Plaza, National Reading Group Month, reading groups, The Gravity of Birds: A novel, Tracy Guzeman, writing tipsLeave a comment on National Reading Group Month Event Saturday in S.F.